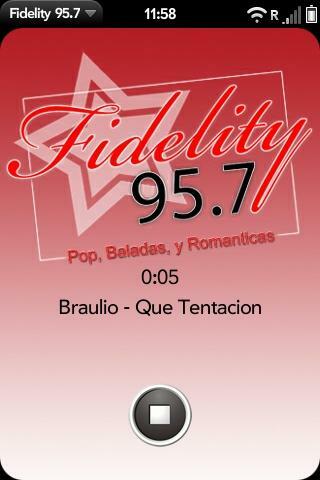 This application was developed for a Spanish Radio Station in Orlando, FL (95.7 Fidelity) that I work for. We already had an Iphone app that lets you listen to our station on the iPhone. But we needed to have one for the Palm Pre Also!!! It has integrated audio player and current song title that shows you the current artist and title of the song that you are hearing. This is just for you guys to see how good the WebOs Platform is. We will be adding more features for it later on.